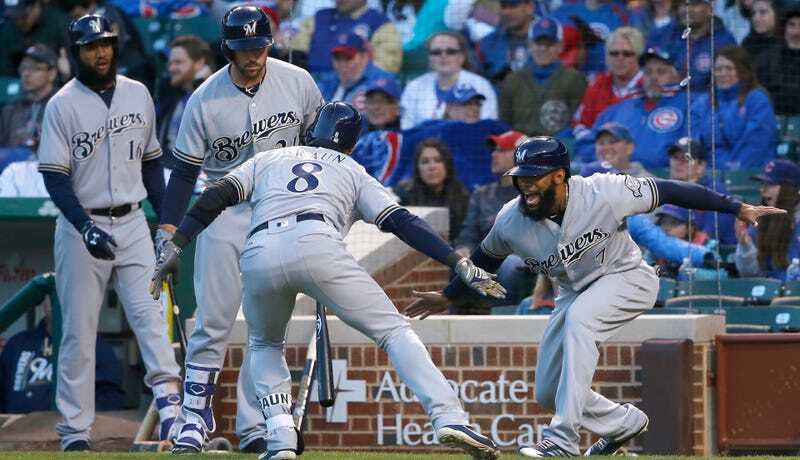 Last we heard from Eric Thames, the former MLB washout who went to the KBO and flexed all over the league, there was cautious optimism that he could carry over some of his form to Milwaukee and maybe make the mustachioed Brewers mascot guy slide down the home run slide a few times in the major leagues. As it turns out, he’s having no problem doing so. Thames spent the weekend wrecking the Reds, hitting five four-baggers in the four-game series. Tonight, he put the Brewers up with a solo home run off of John Lackey. This is his fifth straight game with a homer and seventh straight game with an extra-base hit. The season is still very young, but Thames leads the majors in home runs, OPS, and slugging percentage. It seems that he’s picking up on MLB pitching just fine.